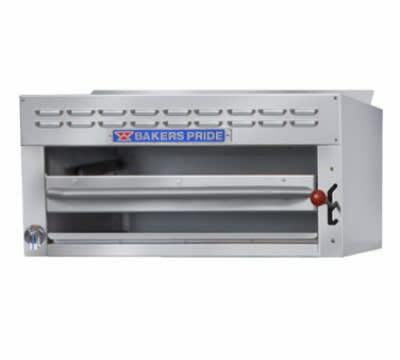 The 24 inch Restaurant Series salamander broiler by Bakers Pride provides evenly cooked product every time. The 24 inch width of this salamander broiler fits well when added to a range, mounted on a wall, or fixed onto a countertop. Excellent for finishing steaks, browning dishes, and reheating foods.